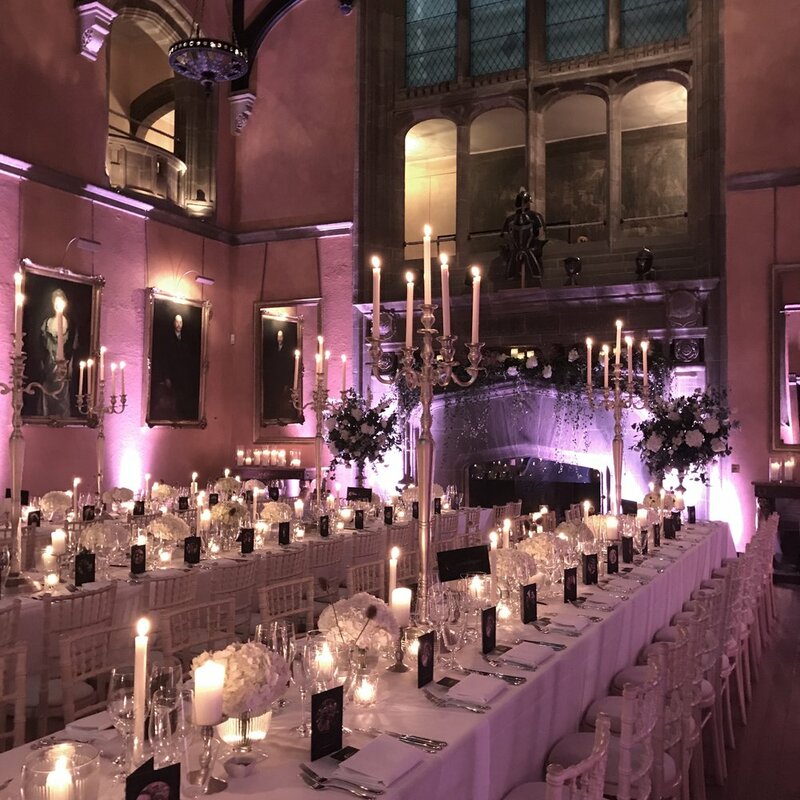 As the preferred florist at the glorious Cowdray House in Midhurst West Sussex, we know this venue rather well and can wholeheartedly recommend you to book your wedding or event there; its a really wonderful house in an incredibly beautiful location and you won't be disappointed. Last week we provided the flowers for Sally and Tom's fabulous wedding at Cowdray House. The theme was wild wood with plenty of greens and branches with new shoots emerging. We used seasonal flowers in whites, ivory and champagne with touches of blue. The flowers included anemones, frittilaria, ranunculus, jonquils, hellebores, bluebells and spirea. We decorated the huge fireplace in Buck hall with branches of greenery, with a sprinkling of white flowers. This is where the wedding ceremony took place and the aisle was lined with candles in glass. After the ceremony, the wedding party and guests had canapés and champagne in the gardens and other rooms of the house whilst Jacaranda Catering and our team laid out the banqueting tables for the dinner. We all achieved a very quick turnaround and the room was ready in just over an hour.